Kate Baray Runner-Up in SPR Fantasy Category! 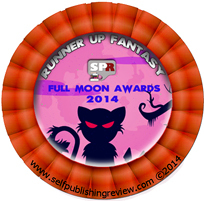 Winners of The SPR Full Moon Awards Announced! Lizzie led a normal life…until the Book arrived. Author Kate Baray begins her new urban fantasy romance series with Lost Library, a tale of werewolves, magic, adventure and romance. The judges were most impressed with Kate Baray’s professionalism in presentation of her book: a fine example of how a self-published work can be just as finished as a big-name publication. Cate Baum is a filmmaker and writer of self-published book “The Bull and The Ban” (under the name Tosko) and contributed to “Ole!”, a book about 21st Century attitudes to bullfighting with Ernest Hemingway’s grandson John and New York Times writer Edward Lewine. 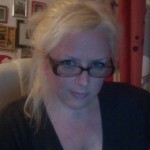 She is also editor and co-founder of Filmmaking Review, the sister site to Self-Publishing Review. She is married to SPR founder Henry Baum and lives in LA. The Community is your mate. When you are alone, we are together. All are welcome in the Community. White is the color of all colors. The resources of the Community belong to the Community. The mind is the true voice of a Citizen. The ultimate tragedy is not the oppression and cruelty by the bad people but the silence over that by the good people. – Martin Luther King, Jr.
Sindra. A world where minds are joined, vocalization is punishable by ‘recycling’ and dystopia is more than just a word. 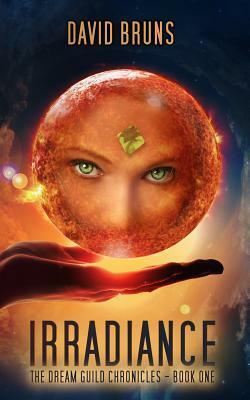 Irradiance begins with murder, and leads the reader through levels of mental and psychological programming, space-jump technology and time-space continuum’s, as is to be expected from any dystopian fantasy. But then, it grows, deepens to a story of life under totalitarian governments, secrets and lies, and the bonds of family, bonds that must be hidden away from a regime that sees no value in kindness or love, no strength in free thought. Which is rather oxymoronic considering the presence of two statues in “The Hall” – the statues of Freedom and Knowledge. A world of euphemisms, where “processing” is just another word for euthanize, and cruelty is oh-so-cold. Honestly, I am not a big fan of dystopian novels. They are just too ‘real’ in their cold, bitter vision of a world with no color, no joy, no true happiness. There was much to send chills over my skin in Irradiance. But to tell you true, the very bleakness of the world of Sindra gives warms and promise, hope, to a book that ends by being a story of possibilities, sacrifice, and new beginnings. Overall? This first of The Dream Guild Chronicles shows stunning promise for lovers of dystopian novels and gives a calculated warning about the direction our own world faces in the new future. This book was provided to me by the author in return for a realistic review. All thoughts are my own. As you step into Supergirls, you are transported. Transported to a world, a life, straight out of a Hieronymus Bosch painting. A visit to Dante’s Inferno, a glimpse into the minds of the damned. Brutal. Savage. An acid trip into Naraka, tortured by Yama, denied the relief of rebirth. Supergirls is, in its own way, a story of sisterhood and family, the bonds of love and sacrifice, all played out on a screen of the absurd that would send chills up the back of Dahmer and make Spring-Heel Jack and Béla Kiss feel emphatically mediocre. The horror is horrifying, without a doubt – but to my mind, the portions that are real, and all too common in our world today, are the scariest moments, the most frightening horrors of all. The pages of a graphic novel flashed through my mind as I read Mav Skye’s work, the scenes backlit by a bloody light, built of straight black lines and soulless eyes. For anyone who adores dark fantasy, this is a luscious treat for the mind, a glimpse into inane, mundane, yet horrific madness that kept my eyes glued to the page and my heart pounding as I traversed the darkness into the cellar of Skye’s mind. Watch out for the rotting stairs . . . I received Supergirls from the publisher in return for a realistic review. 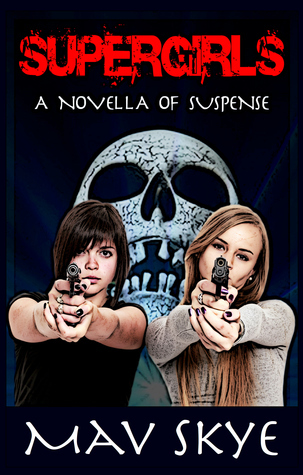 This is a novella, only 87-pages, and would make an incredible Halloween night read! Highly recommend. Love Lovecraft? Tis The Season For Scary! 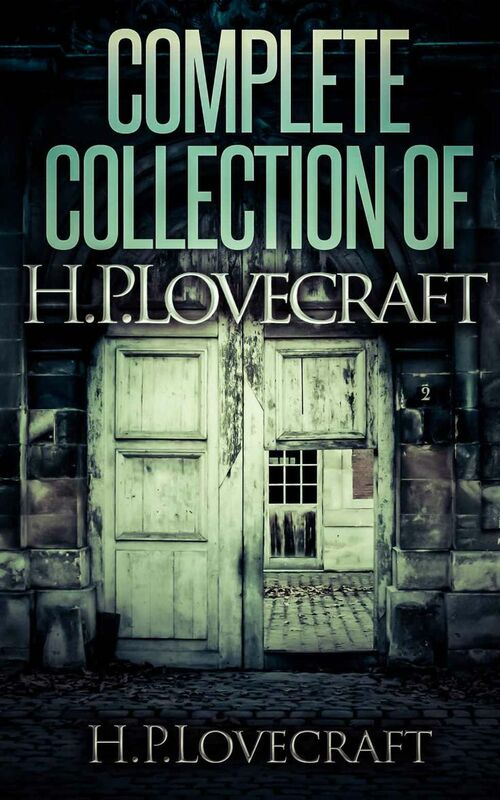 In time for the Halloween Season, Complete Collection Of H.P.Lovecraft – 150 eBooks With 100+ Audio Book Links (Complete Collection Of Lovecraft’s Fiction, Juvenilia, Poems, Essays And Collaborations) is .99 at Amazon Kindle! AND ITS NOT 20, IT’S 100 Plus Audio Books!! Lovecraft’s major inspiration and invention was cosmic horror: life is incomprehensible to human minds and the universe is fundamentally alien. Those who genuinely reason, like his protagonists, gamble with sanity. Lovecraft has developed a cult following for his Cthulhu Mythos, a series of loosely interconnected fictions featuring a pantheon of human-nullifying entities, as well as the Necronomicon, a fictional grimoire of magical rites and forbidden lore. His works were deeply pessimistic and cynical, challenging the values of the Enlightenment, Romanticism and Christianity. 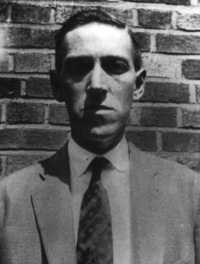 Lovecraft’s protagonists usually achieve the mirror-opposite of traditional gnosis and mysticism by momentarily glimpsing the horror of ultimate reality. Although Lovecraft’s readership was limited during his life, his reputation has grown over the decades. He is now commonly regarded as one of the most influential horror writers of the 20th Century, exerting widespread and indirect influence, and frequently compared to Edgar Allan Poe. Falling leaves. Chilly temperatures. Fall has arrived with a bang. It’s the perfect time of year for reading! Enter this giveaway for your chance to win Amazon gift cards or some great ebook prize packages to fill your Kindle with. We’ve partnered with several great authors to offer you enough excellent reads to last you through the season. Organized by Fire and Ice Book Tours!